The year after she dropped out of Lenape Valley High School, Leilani Reyes’ younger sister faced a similar fate. Cassandra Reyes, who had become a mother just months earlier, learned last June she didn’t have enough credits to graduate. Determined to earn her New Jersey High School diploma, the younger Reyes enrolled in NewBridge Jobs Plus, an alternative education program that helped her achieve her goal in short order and encouraged her to pursue plans to become a nurse. “I was really proud of her, and I thought, if she can do it while raising a child, why can’t I?” Leilani Reyes said. 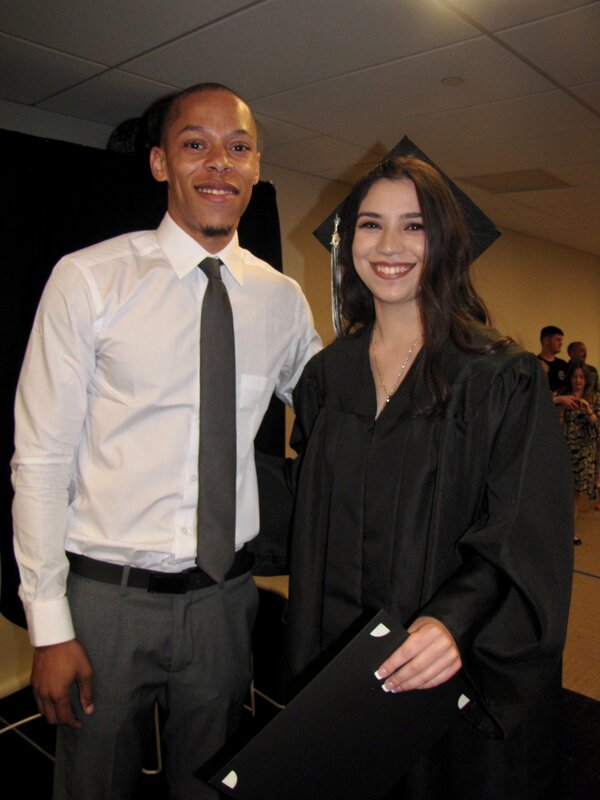 With NewBridge Jobs Plus’ help, the 21-year-old earned her high school diploma too, and in September she’ll attend attend County College of Morris to study criminal justice. The Reyes sisters are among 49 young adults in NewBridge Jobs Plus Class of 2017. 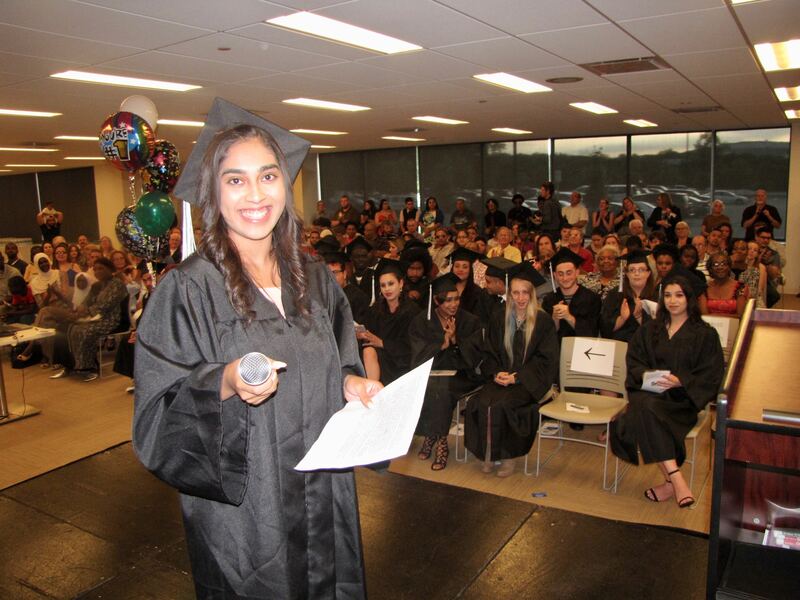 On June 15, more than 30 of them donned caps and gowns at Wyndham Worldwide headquarters, as more than 200 relatives and friends cheered them on. “You’ve shown that you are in control. The only thing left to do is rise up!” said keynote speaker James Bryant, supervisor of youth workforce programs at Morris/Sussex/Warren Employment and Training Services, one of the funders of NewBridge Jobs Plus. NewBridge Jobs Plus is the longest-running alternative education program in Morris County and has helped well over 1,000 young adults earn their high school diplomas and prepare for college, trade schools and careers since 1983. The program, located at the NewBridge Parsippany Center, is free to young adults living in Morris, Sussex and Warren counties, and transportation is provided to Morris County residents. This year’s graduates hail from: Budd Lake, Cedar Knolls, Dover, Hackettstown, Hopatcong, Kinnelon, Lake Hiawatha, Lake Hopatcong, Landing, Ledgewood, Morristown, Netcong, NewFoundland, Oak Ridge, Parsippany, Pinebrook, Randolph, Rockaway, Roxbury, Succasunna and Wharton. “NewBridge helped me learn to be independent. I learned to work at my own pace to achieve my goals,” said Cassandra Reyes, who received the $1,000 James Ryan Memorial Scholarship Award, given in honor of the NewBridge founder. The 18-year-old will soon start at Montclair State University. 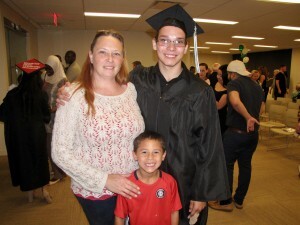 Roberto Cuevas left Morristown High School in February after his single mother became ill and was unable to work. Cuevas worked two jobs, one full-time, to help support his mother, three brothers and a sister. 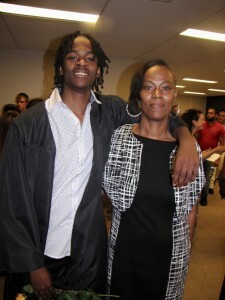 Through NewBridge Jobs Plus, he earned his diploma and will enroll at County College of Morris for the fall semester. He plans to transfer to a four-year college after he gets his associates degree to study biotechnology. Jesenia Chaparro, 22, of Budd Lake, moved to New Jersey from Puerto Rico at age 15, and a year later she dropped out of school. “I didn’t speak the language well,” she recalled. By 17, she was a mother and worked at low-paying jobs. 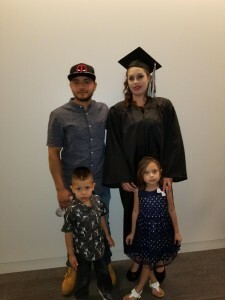 Married with two children, Chaparro said she enrolled in NewBridge Jobs Plus in March “for our kids, for a better future.” She was awarded the $1,000 Lakeland Bank Scholarship Award. “They were so supportive and flexible,” she said of the instructors. 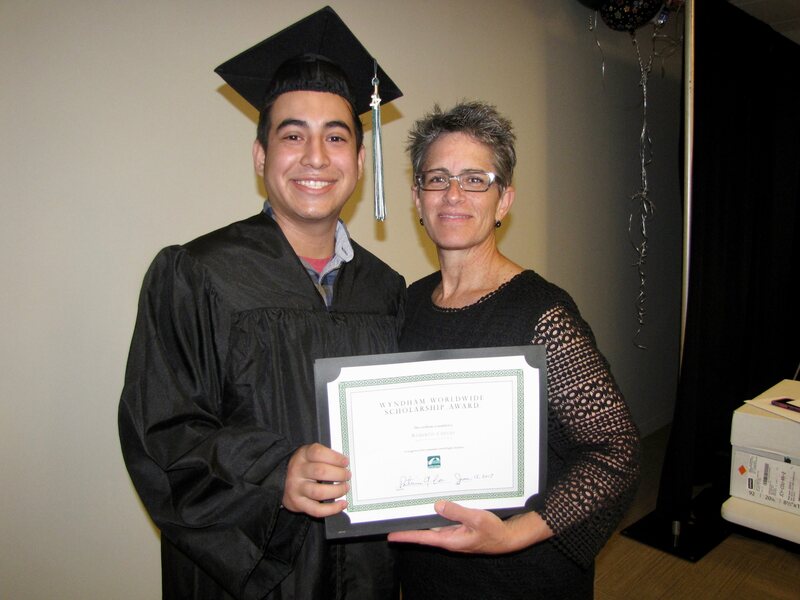 NewBridge Jobs Plus Career and College Counselor Jill Worrall helped Chaparro apply to Berkeley College, where she’ll study to become a surgical technician in September. Veronica Fernandez quit Dover High School because she missed too many days. On a friend’s suggestion, she enrolled at NewBridge Jobs Plus, and she found her niche with the small-class setting and supportive staff. “They give you so much motivation!” Fernandez said. Worrall helped her explore career options, and now Fernandez plans to become a registered nurse. “I had no plans, but I went to NewBridge and now I’ve got it figured out,” the 20-year-old said. “I am proud of myself. I feel like I can take on the world!” she said to a burst of applause. Rashawn Blake, 19, had gotten into trouble in high school in Essex County and had to leave during his senior year. When he got to NewBridge Jobs Plus, “they helped me want to further my education,” he said. Blake is pursuing a music career, but until he attended NewBridge, he didn’t see the need for college. The Montville resident plans to study business at County College of Morris starting in September. Blake was honored as a NewBridge Jobs Plus Associate of the Year. Roxbury resident Nicholas Ferro was determined to walk across a stage to receive a diploma for his mother’s sake. Traditional high school didn’t suit Ferro, but he said “I would have stayed and been miserable” at Dover High School had he not found NewBridge Jobs Plus. Ferro’s six older siblings had gotten high school GEDs; not one attended a commencement. “I wanted to do it for my mom,” he said. “I cried. It’s been a long road,” said his mother, Nicole Dickerson, giving Ferro a squeeze. The 18-year-old plans to study agribusiness at County College of Morris. “When traditional high school failed them, these young men and women didn’t give up on themselves. They persevered and succeeded, and we are confident they have the grit and optimism to pursue their dreams,” NewBridge CEO Robert L. Parker said. In addition to Morris/Sussex/Warren Employment & Training Services, NewBridge Jobs Plus receives funding from: Affinity Federal Credit Union; John Bickford Foundation; Community Foundation of New Jersey:Morris County Freeholders; Morris County Human Services;; TD Bank Charitable Foundation; Charles Emil Thenen Foundation; United Way of Northern New Jersey; and Wyndham Worldwide.